Ronja did another drawing of Natalie! She’s feeling well enough to draw again, and she’ll be working on male armor designs for EBF5 soon. This entry was posted in Fanart, Ronja on September 21, 2016 by Matt Roszak. Too much holy resist, Natz. Bring a Wrecking Rod or Flower Pot for defense or something instead. Good news for Matt Roszack too ! And that’s why you need Seraphim in EBF5!!! It matches PERFECTLY!! 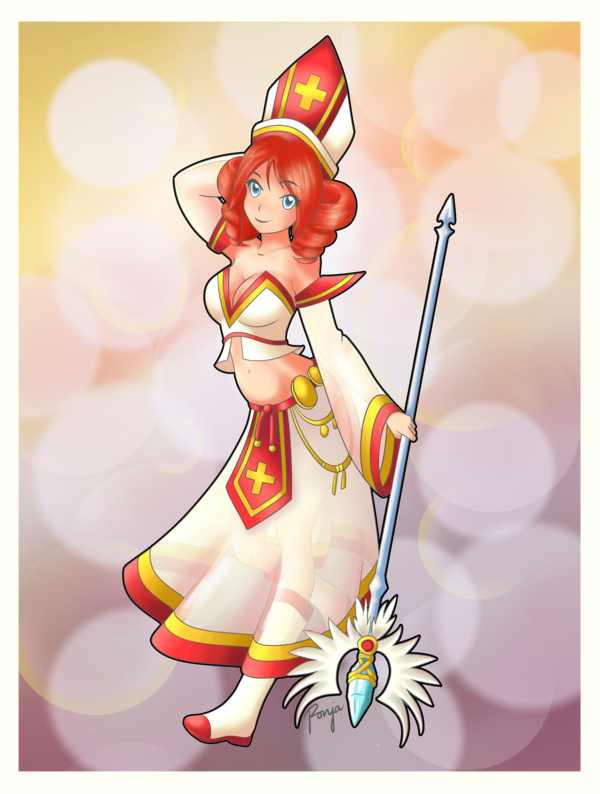 (I’m a bit obsessed with Seraphim ) Good job, Ronja! Hype for the Male armor! Hype for EBF5! Hype for Nolegs’ armor! Hype for… I have nothing……. Definitely glad to hear Ronja is getting better. Here is to hoping she can almost, if not fully, recover.